Anamaria has over 17 years of experience in innovation management, entrepreneurship and business development initiatives, projects structuring and funding sourcing, their management, monitoring or evaluation, in both private and public, as well as Public-Private-Partnerships contexts. She also has extensive expertise in EU affairs, EU and public funding and financing. Anamaria has been working with the European Commission as staff member of the European Institute of Innovation and Technology, as Malta National Contact Point and Management Committee representative for the EU’s Competitiveness and Innovation Framework Programme for SMEs, as well as an independent evaluator and reviewer on a number of EU and national funding programmes. 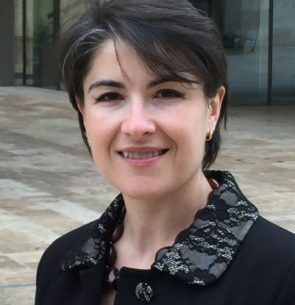 In addition, Anamaria provides consultancy on RDI exploitation strategy, management and business development to various organisations and companies across Europe, both on an independent basis and as selected expert service provider in the framework of a number of startup or scaleup support initiative. By profession, Anamaria is an economist with specialisation in finance and an MBA alumni of the Edinburgh Business School.